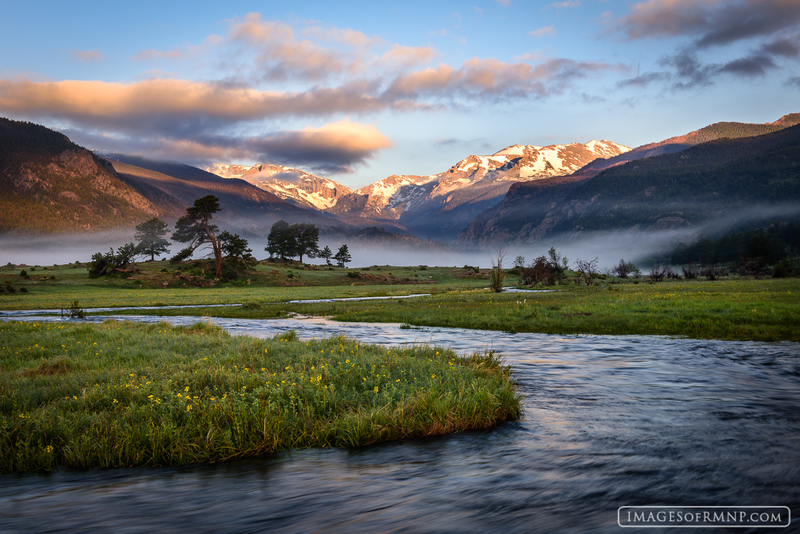 The day began with thick clouds and fog, but as the sun rose they parted to reveal the snow covered peaks of the Continental Divide. The Big Thompson was filled to the brim with melted snow while golden banner began to bloom on the far shore. It was an absolutely glorious spring morning in Moraine Park. Photo © copyright by Erik Stensland.